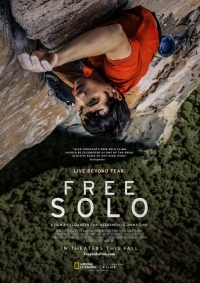 2019 Academy Award Winner for Best Documentary Feature, Free Solo is a stunning, intimate and unflinching portrait of the free soloist climber Alex Honnold, as he prepares to achieve his lifelong dream: climbing the face of the world’s most famous rock, the 3,000 ft El Capitan in Yosemite National Park, without a rope. 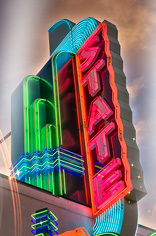 Rated PG-13. Run Time 100 minutes. From award-winning documentary filmmaker E. Chai Vasarhelyi (MERU) and world-renowned photographer and mountaineer Jimmy Chin.